Ouagadougou (AFP) - Two African presidents mediating crisis talks following this week's military coup in Burkina Faso have hinted at progress in the negotiations, promising "good news" would be announced on Sunday. Tensions remained high in Ouagadougou, where most shops remained shuttered following deadly clashes between elite troops and protesters. Benin's President Thomas Boni Yayi, who along with Senegalese President Macky Sall was in the capital meeting with both sides in the standoff, announced late Saturday: "All the actors will meet again tomorrow morning to announce the good news to the whole world." After two days of emergency talks, Boni Yayi hinted at a return to power of Burkina's interim government, saying "yes, a return to the transition" in response to a question from reporters. Coup leader General Gilbert Diendere also signalled that a deal had been reached, telling reporters: "I never said I wanted to hold onto power... It's now a question of how to proceed." Sall, who is also chairman of the Economic Community of West African States (ECOWAS), had said earlier that negotiators were seeking the return of Burkina Faso's interim President Michel Kafando, who is under house arrest after being detained at the presidential palace on Wednesday. The Presidential Security Regiment (RSP), an elite army unit of 1,300 men loyal to former president Compaore, officially declared the coup on Thursday and announced Compaore's ex-chief of staff Diendere as the new leader. Compaore was toppled by a popular uprising last October after 27 years in power, leading to the installation of a transitional government. 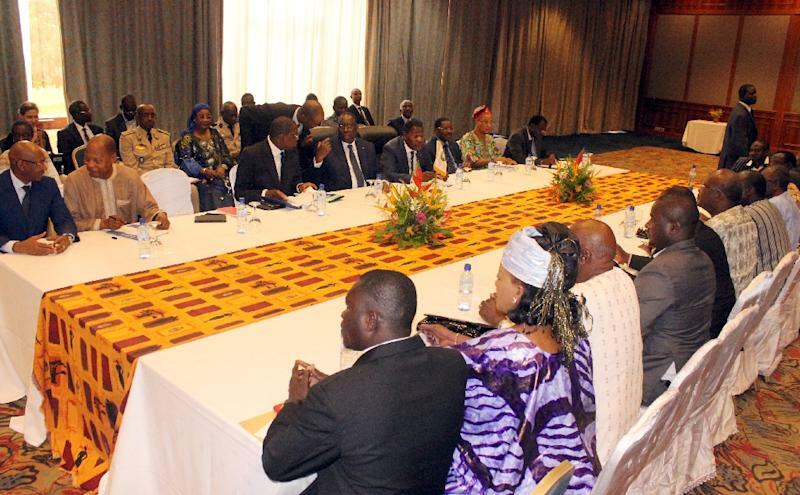 A foreign diplomatic source in Ouagadougou confirmed negotiators were seeking a return of the interim government. "What is envisaged -- and what will be done -- is maintaining Kafando as head of state and for the government to complete the transition," the source said. "Diendere should leave." Sall and Boni Yayi met with Kafando at his home earlier Saturday after two hours of talks with opposition leaders and civil society groups. "We held in-depth discussions with President Kafando on the urgent situation and how to put in place a return to normality," Sall said after the meeting. At least 10 people have been killed and 113 wounded in clashes sparked by Wednesday's detention of Kafando and interim Prime Minister Isaac Zida by presidential guard officers, a source at Ouagadougou's main hospital told AFP. Across the country, residents -- many of them young -- have set up roadblocks in protest at the coup, burning tyres and paralysing traffic. Thick black smoke rose over the main western road to Ouagadougou on Saturday, while some 30 youths set fire to tyres running across the main artery to the country's second city Bobo Dioulasso. Shops were shut, and traffic was close to zero. "Haven't you heard the radio? Don't you know what's happening?" a young man screamed as mini-buses were turned back by men wielding sticks and stones. Andre, a student, added: "We got rid of Blaise. It's not on for him to come back or for us to see his aide come back a year later." On Friday, RSP troops fired in the air to disperse protesters trying to march on Revolution Square, the epicentre of last year's revolt against Compaore. The military junta has claimed that Kafando was excluding Compaore's supporters from taking part in elections set for October 11. The vote is supposed to mark the end of the transitional government installed after Compaore's ouster. In the capital, amid growing calls for civil disobedience, the homes of two former Compaore allies -- former Ouagadougou mayor Simon Compaore, and Salif Diallo, who had joined opposition ranks in 2014 -- were ransacked overnight Friday, an AFP reporter saw. But the military has lifted a curfew and reopened land and air borders that they had closed after seizing power. 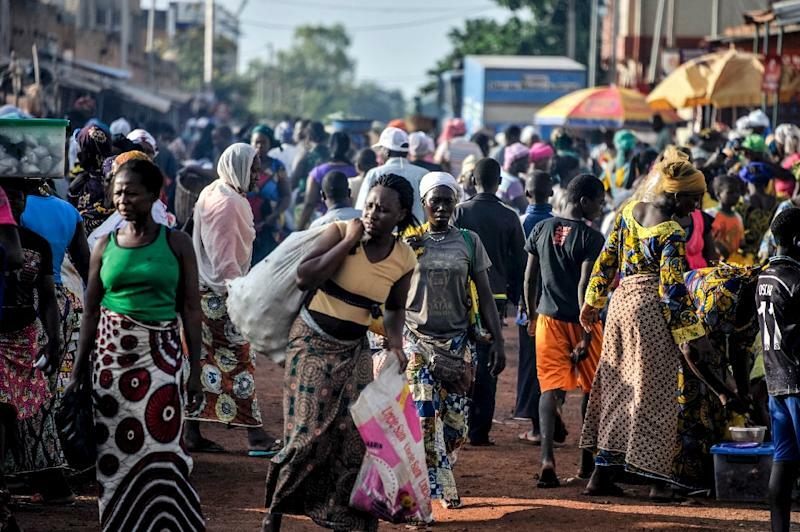 A former French colony previously named Upper Volta, Burkina Faso has had a long history of instability since it gained independence in 1960. In the face of global condemnation of the coup, Diendere on Friday insisted he was acting in the interests of the impoverished, landlocked west African country. "We simply want to have proposals for elections that take place serenely and peacefully, and for results that are uncontested and uncontestable," he told the French television channel TV5 Monde. 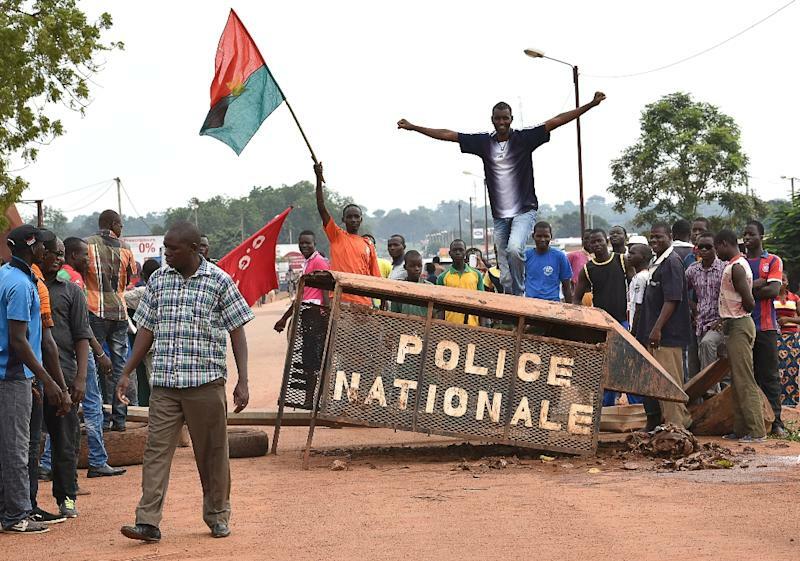 The 54-member African Union has suspended Burkina Faso and imposed a travel ban and asset freeze on the junta.